Here I have compiled a list of 5 free notification hubs for Android. From these Android notification apps, you can access all of your notifications from different apps at the same place. The best part is that these apps will keep track of every single notification from an app installed on your phone and you won’t miss any of them in case you removed them from Android notification area. Some of the apps in my list also give you the option to hide app notifications from the Android notification area and access them right from their interfaces. One of the apps even provides its own hidden notification area from which you can access the app notifications. 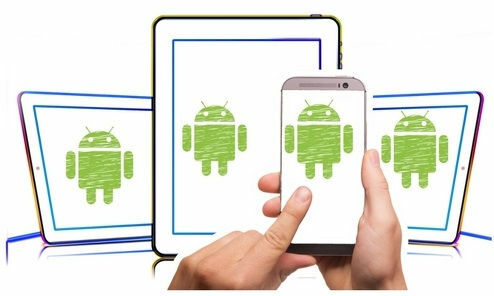 Also See: How to view Android notifications on desktop, How to forward Android notifications to email, How to sync Android notifications with Windows 10 PC. 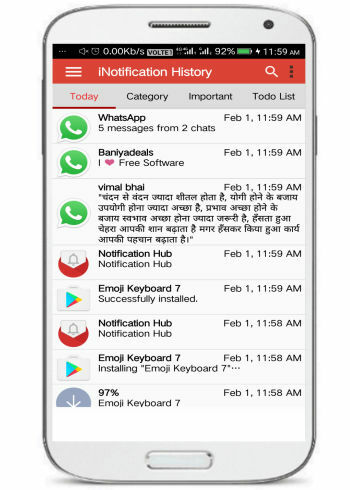 Notification Hub is a free Android app to store app notifications. From this app, you can select some apps or all apps whose notifications you want to store and access later. Apart from that, you can also choose to hide notifications of specific or all Android apps from showing up in the Android notification area. In simpler words, you will just see a notification indicating that you have received a notification and you will have to open this app to see the notification. The notifications displayed in this app are quite similar to Android notifications, as you can see in the screenshot above. Download this app from the link above and then select apps whose notifications you want to hide from the Android notification bar. To select apps whose notifications you want to store and access from this app only, tap on the Settings button and select the “Hide notifications in drawer” option. After that, you will see the list of apps installed on your phone, select apps and then tap on the back arrow button on the top. Now, the notifications of the apps will be hidden from the Android notification area and you can see all of the notifications from the selected apps from this app itself. 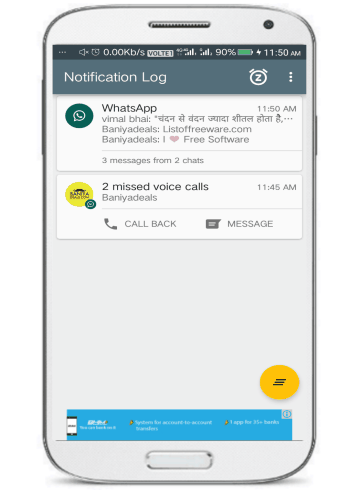 Notif Log Free is another free notification hub for Android. This app captures all notifications from apps on your phone and stores them for later access, as you can see in the screenshot above. You can also exclude some of the apps whose notifications you don’t want to log. The best part is that the app comes with its own notification drawer. This notification drawer works in the same manner as the default Android notification drawer. The only difference is that notifications from the apps are hidden from the default Android Notification panel. You can secretly view the notifications from the Notif Log Free notification panel. To use this feature, you have to enable its Floatie option. Now, swipe down from the top-left corner of the Android status bar to access the secret notification panel, which is shown in the screenshot below. As I mentioned, you can choose to exclude apps whose notifications you don’t want to get logged by this app. To exclude apps, select the Exclude Apps option from the menu and then select the apps. This app also gives you the option to snooze Android notifications. This feature allows you to set a time after which a notification will appear again in the Android notification area. It is quite a handy feature which you can use to set reminders for important notifications. 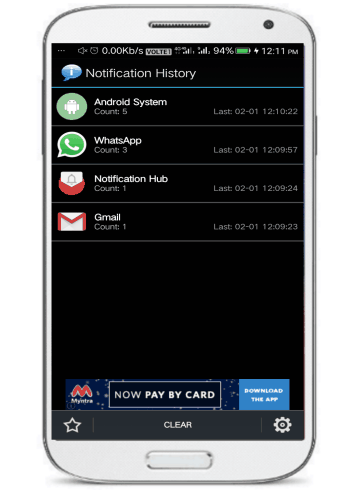 Notification History Master is another free notification hub for Android. Just like other apps in my list, this app can also log all notifications from the apps on your phone. This is a pretty simple Android app to log notification history. You can’t include or exclude apps to log their notification. After you have downloaded the app from the link provided above and approved the necessary permissions, this app will log and store all notifications by apps on your phone in the background. You can then access the logged Android notifications from the app interface as shown in the screenshot above. If you are looking for a particular notification then you can search for it from the Search bar at the top in the app and quickly access it. 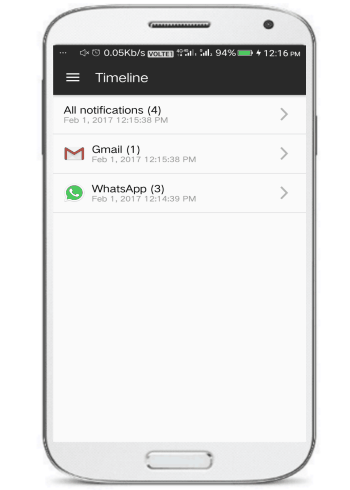 Timeline- Notification History is a free Android app to log notification history. This is also a very basic Android app to save Android apps notification history. However, you can choose to exclude apps to log their notification history. 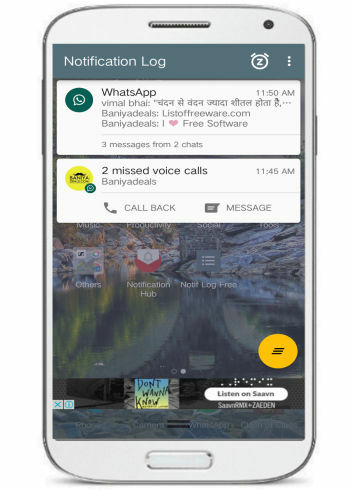 This Android notification hub displays the Android notifications app wise or you can view all Android notifications at the same place. Download it from the link provided above and then allow to access apps notifications. After that, this app will start logging notifications from all of the apps installed on your phone. If you wish then you can also exclude some apps from logging their notification. To exclude apps, select the Excluding Apps option from the menu. After that, select the apps and then the notification of the selected apps will not be logged.You can also block notification with specific keywords. To block notifications with specific keywords, select the Blacklist option from the menu and then specify the keyword to block. However, it is clearly mentioned on the app that if you add many words then your device may slow down. This app also gives you the option to not to log the same notifications generated within 10 seconds and notifications with empty content. 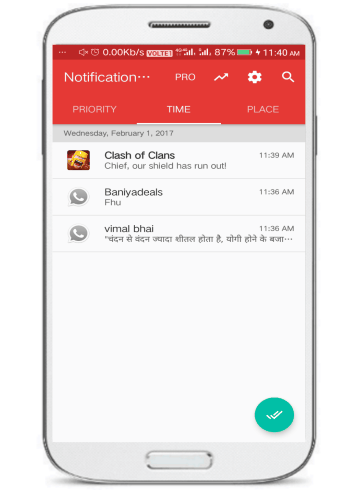 Notification History is another Android app to store notifications history. This Android app gives you the option to record app toasts and dialog boxes too. By default, this app logs all notifications from all apps on your phone and there is no option to exclude apps from logging their notifications. Apart from this, the app gives you the option to auto purge older notifications or you can choose to keep the latest 300 notifications. Getting started with this app to save Android notifications is really easy. Download it from the link provided above and then approve app permissions required by it. After that, this app will start logging all of the notifications from apps on your phone, which you can access from this app itself, as shown in the screenshot above. In this article, I introduced you to 5 free notification hub apps for Android. These apps will automatically log all notifications from the apps on your phone which you can access anytime. This means that now you won’t miss any of your important notifications as they will be stored by these apps. If you ask me then I am going to keep Notif log notification history as it comes with a hidden notification panel to quickly access Android notifications.